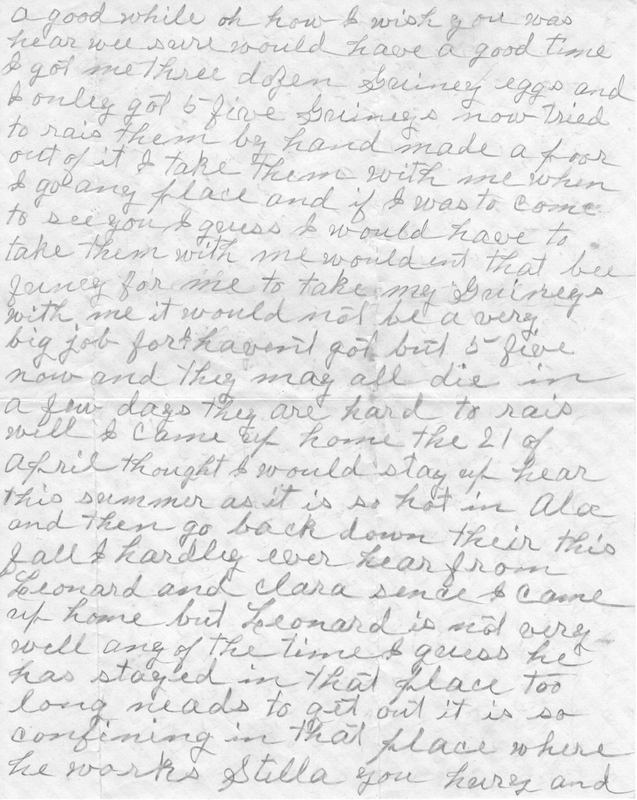 "Great Grandmother Jennie Jones Lane Letter, June 23, 1948"
Letter written from my Great Grandmother Jennie Jones Lane to her daughter and son in law, Stella Mae Lane Hill and Louis Arthur (Buddy) Hill (Buddy Hill, Bud, Oldest of Nineteen Hill Children, Son of William Hill, 10 by the first marriage and 9 by the second marriage; William Hill Born Georgia 1862). Louis (Bud) and Stella; Lived at Bristow, Oklahoma; to whom the noted letter below was written. 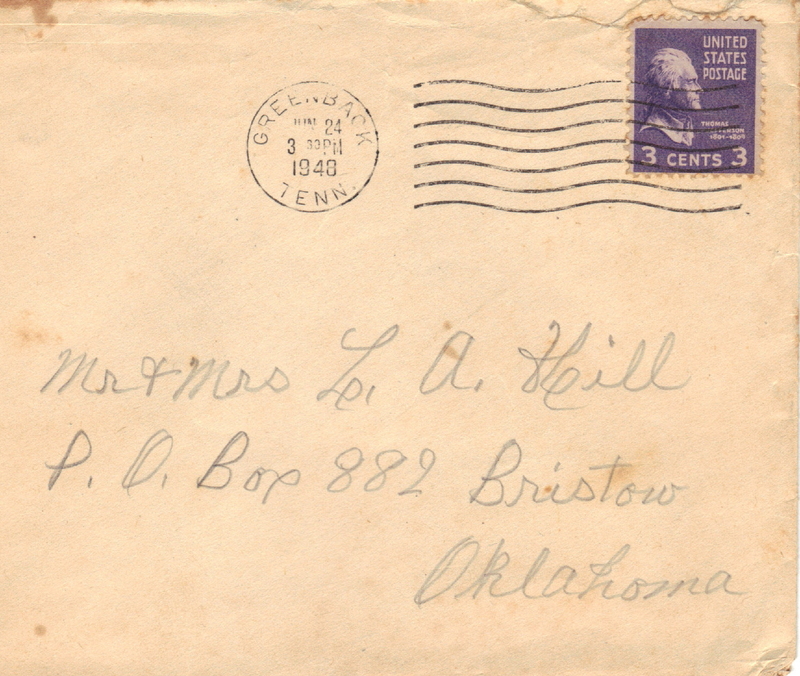 Grandma Lane wrote from Greenback, Tennessee to Bristow, Oklahoma on June 23, 1948 (gave the letter to the Postman, as mentioned in the body of the letter on that same day, June 23, 1948). The letter was subsequently returned to the Postoffice by the Postman; Postmarked and continued on the following day; June 24, 1948. This is the same Grandmother, Jennie Jones Lane, from whom Ruth received her name, was named after, "Jennie Ruth Hill Price", and the same Great Grandmother from whom my gift and inheritance of the "Two and Half Dollar 1914 Gold Piece Coin" was provided, and from whom it was received. There is somewhere on this earth, or rather there was at one time a photo taken of four-generations of our family; My Great Grandmother (Jennie Jones Lane, My Grandmother (Stella Mae Lane Hill), My Mother (Jessie Mae Hill Chesnut), and yours truly, Daniel Lawrence Chesnut, Sr., I have been looking for this photo of this family, however have not traced down a copy as of this writing. 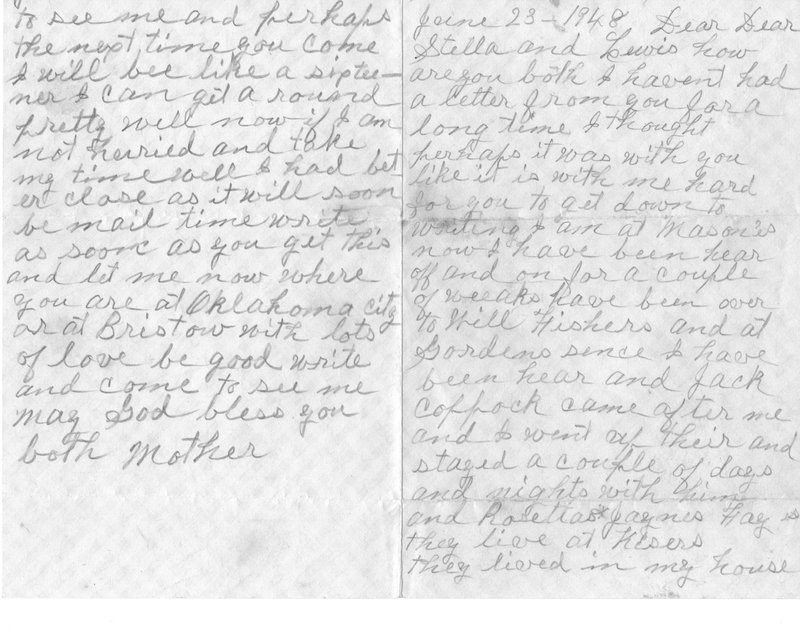 Please find the letter I mentioned above, written to Grandma and Grandpa Hill from Grandma Lane written on June 23, 1948 below. Please find here a needed explanation as to how to find and read the letter below. It may seem a little convoluted, but I hope this verbal diagram of the folded letter scanned below will help in the reading. It is surprising how well the scan turned out, if you were to compare the readability of the original six-decade old hand-written letter. Great Grandma was of Eighty-Six Years Old at the writing of this letter. She has written beautiful free-hand script and calligraphy, with a wonderfully steady hand, round cursive script, all on hand folded paper. The beginning paper (standard paper) possessed an actual measurement of approximately 8x10 inches, with a folded measurement of approximately 5 7/16" x 4 5/16" inches. 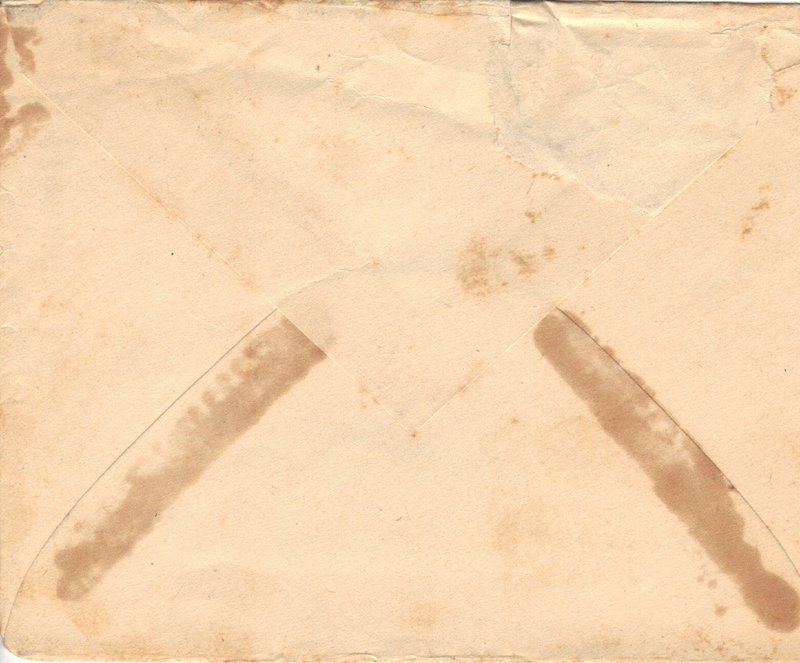 This folding of the paper in half required her to make one-additional small fold to fit the free-hand inscribed letter into a smaller than standard envelope with actual measurements of approximately 5 14/32" x 4 5/16" inches. One further note on the hand script and calligraphy of our great-grandmother, which deserves an additional second or third, look in appreciation. Please take a look at, appreciate the free-hand hand of this wonderful eighty-six year old, and in the light of her age, appreciate the beautiful cursive capitol "H" in "Hill" written on the face of the envelope. The smooth and even pressure of the line speaks to the thought that this cursive elegance came from a natural flair, confidence and inner peace. Dear Family. The First Page of the Letter is found on the top right of the first scan. Page #2 is found on a separate scan located below the Page #1 and Page #3 found on the first scanned page below, and then, return back to the top scan, scroll back up to the top scanned page to read Page #3, which is located to the left side of the fold, on the top scan.